Not everyone is perfect. Even carpet can have problems of its own, whether it is before or after we have cleaned it, or even during the installation process. This following article will help in providing some valuable information about some of the things that are happening to your carpet and why. These are naturally occurring traits that will be seen in certain types of carpets virtually every time. These are problems because they can happen unexpectedly and some of our clients, including ourselves (every once in a while) do not understand why they are occurring. Crimp Loss - Natural fibers such as wool have a natural crimp. Crimp loss occurs gradually from continuous stretching of the fiber due to foot traffic, furniture moving, and agitation from cleaning to some degree. Some fibers simply do not spring back into the crimped shape as well as others. This is very common with polyester fiber. It appears as the loss of fullness with some matting. Fuzzing - A hairy appearance resulting from loose staple fibers that stick up above the surface. A similar appearance results when continuous filament fibers come loose or break leaving one end protruding above the surface. Some of it, particularly with staple yarns, will occur from normal foot traffic, as well as dragging furniture, and insufficient encapsulation of fibers in the latex adhesive, which is a manufacturing defect. Nap Direction - This causes some visual effects in the carpet that can be either good or bad, depending on the client's point of view. During the tufting process, the face yarns experience tension in one direction as the machine moves the carpet. The nap will tend to lay in that direction. As the finished carpet is viewed, it will appear lighter or darker depending on the nap lay and the direction from which it is viewed. Viewed from one direction, it appears lighter because we are looking at the reflective sides and getting more light, but when viewed from the opposite direction, it appears darker since we are seeing more of the tips of the tufts that tend to scatter light. Nap Reversal and Pooling - This is a phenomenon that occurs in cut pile carpets. Pooling is more common with dense pile carpets. Foot traffic and other factors (often unknown) cause the pile to lie in different directions along distinct lines. It can look like a river running along a traffic pattern or form a circular pattern. Light and dark areas of the carpet will reverse when viewed from the opposite side of the room. Shedding - from carpet yarn, it can show up on your pants, your shoes, and in your vacuum bag. It is a result of the loss of loose staple yarns and is usually more severe in cut pile carpets. This condition is totally normal. The worst of it should not last for more than several months. Grinning - Two rows of tufts falling in opposite directions, exposing the primary backing. This would usually only happen on a cheap carpet of minimal density. It is most likely to occur where carpet bends over the edge of a stair tread. Corn Rowing - This occurs when adjacent rows of cut-pile tufts tangle and mat down leaving other rows up right. Corn rows often appear where a door sweeps across the carpet or in hallways where all of the traffic flows one direction. Another suspected causes is traffic with pivotal motion (i.e,. turns in halls and entries). Sticky binding soils also aggravate the condition by holding matted fibers in place. Rippling - This can fall into two categories. 1) Improper stretching of the carpet at installation can leave the carpet without sufficient tension to hold its shape. Foot traffic, furniture moving, and even vacuuming over time will stretch the backing materials causing ripples in the carpet. 2) Even a properly installed carpet may ripple if the carpet backing is a non-elastic synthetic such as olefin. In this case, the adhesive holding the backings together can absorb moisture and expand, like a wet sponge. This causes ripples that sometimes look like small ocean waves. This is called differential expansion. Loss of Heat Set - this appears as an untwisting of the tips of cut-pile. In a defective carpet, one that was improperly heat set (either not heat set or done at too low a temperature) the yarn will not have that strong permanent "memory." 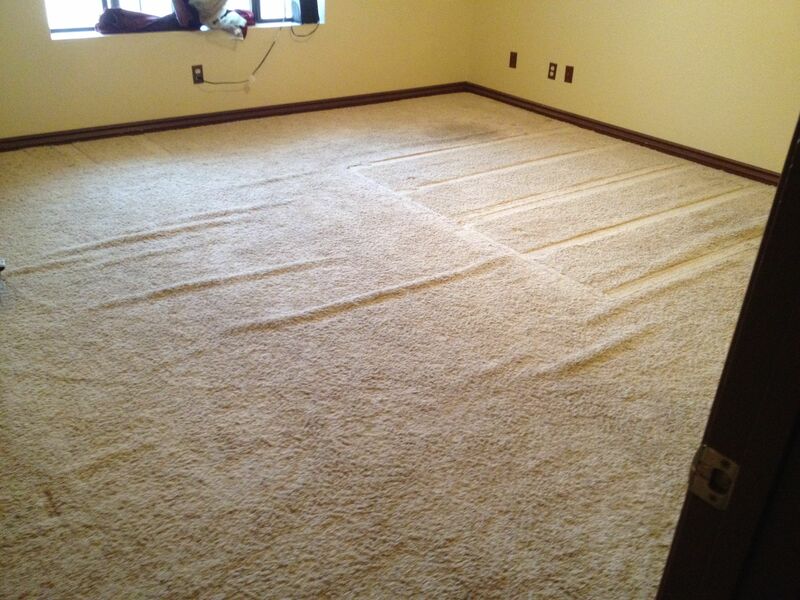 Defective carpet will usually lose its twist in normal use and untwist down 50% or more of the tuft. Loom Oils - sometimes lubricants from the tufting machine are left on the carpet and gather soil at an accelerated rate. This may appear as overall soiling or dirty streaks that follow a yarn. Delamination - There are many causes for this. Although excessive moisture does reduce the adhesive's strength, most delamination on newer carpet results from poor quality latex adhesives or from faulty/insufficient application of the adhesive. Keep in mind that nothing lasts forever. With age, and traffic, adhesives will eventually break down and delamination can occur. Delamination can also be caused by over application of dry solvents. If the process is starting near a seam, it may be an installation issue if all cut edges were not sealed properly or if the temperature of the seaming iron was set at too high. Raveling - When a row of tufts separate from the backing. It normally occurs at the edge of a cut-seam on looped-pile carpet where the yarn is exposed with nothing to hold it but the bundle-wrap (latex coat holding the tufts in place). The cause of the raveling is the failure of the installer to run a bead of adhesive along the edge of the carpet where it was cut to stabilize the yarn before seaming. This is known as buttering the seam. 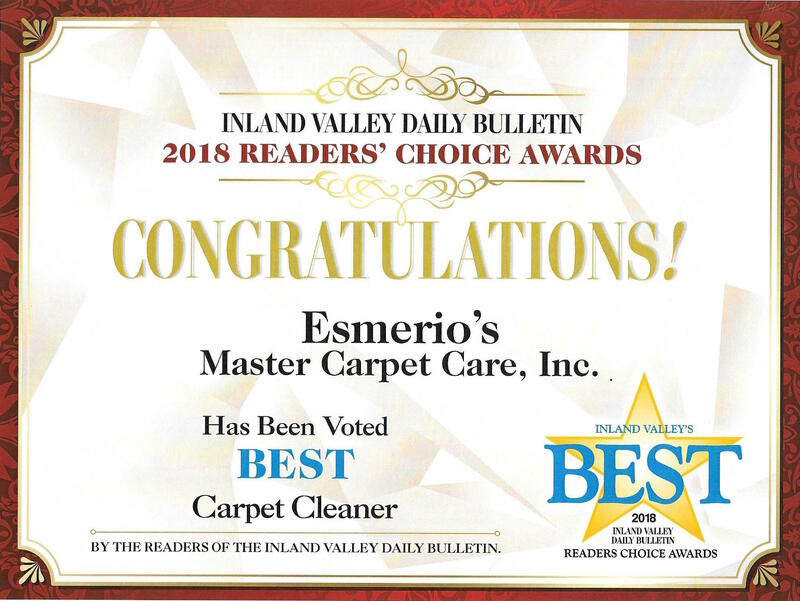 Thank you very much for taking the time to read all of this valuable and important information about some of the problems that can occur when it comes to carpet and how to identify them so they can be avoided. If you're located in RIverside, and are in need of our assistance, call us at 1 800-848-8385!